Why Do Certain Passages of Scripture Continue to be Used Out of Context? Karl Heitman writes about several poor arguments by Planned Parenthood supporters that he hears on a regular basis. Douglas Kump finishes his series on intercession. With all the talk about Planned Parenthood and abortion these days, find two ways Christians can and should respond. Brandi Huerta on showing others Christ in your life. In today’s podcast we investigate why certain passages continue to be used out of context despite solid and correctional teaching from seasoned theologians. For iTunes: Go to the iTunes Store and select podcasts. 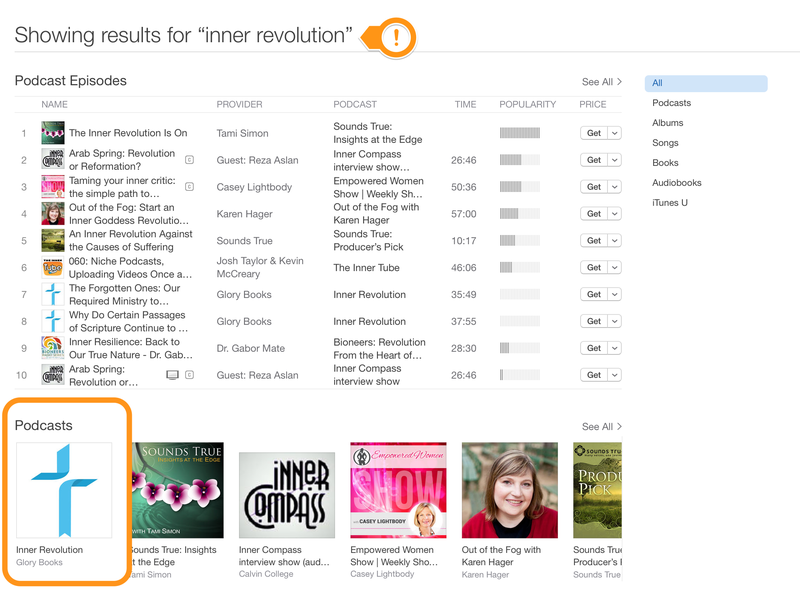 In the search bar, search for either “inner revolution” or “glory books” and then select our show from the list of podcasts. You’ll see our logo. 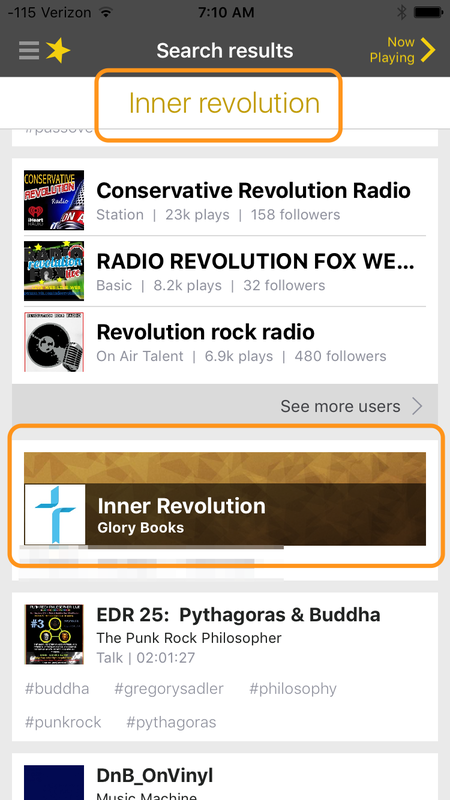 We are also on one of the leading podcast phone apps, Spreaker (yes, that’s spReaker): Download the Spreaker app and then search for “glory books” or “inner revolution” and you’ll see us on the list if you scroll down to shows. A biblical response to the Oregon community college shootings by Chad Coley, graduate of The Master’s Seminary. Are you fed, shepherded, and edified so that you are being grown into the image of Christ daily or do you hide in the numbers? See your trials as opportunities to get to know Jesus more face to face. God can use sufferings to enlarge us, make us better and prepare us for His use. It’s the bigger offenses where we may stumble headlong in to resentment, bitterness, and unforgiveness. In our first episode, guest teacher Charlie Frederico talks about the importance of ministering to widows in our church, and the consequences for neglecting this very special group of women.